Epigenetic Mechanism May Reprogram Heart to Fail | What is Epigenetics? Heart disease is one of the most prevalent ailments among Americans, and can often be deadly. According to the CDC, about 1 in 4 deaths is directly related to heart disease, and it is the leading cause of death among both men and women in the US. Risk factors that contribute to the development of heart disease include poor diet, lack of exercise, high blood pressure, and smoking. Coronary artery disease is the leading type of heart disease and is classified as the narrowing or blocking of the vessels that supply blood to the heart. This can ultimately lead to a type of congestive heart failure called ischemic cardiomyopathy (ICM), a condition where the muscles of the heart become too weak to pump blood properly, so the heart becomes starved of oxygen, often resulting in a heart attack and potentially death. ICM, cited as the end point of coronary artery disease, has been a difficult condition to treat because its mechanisms are not well known. But in a recent study published in Laboratory Investigation, it was discovered that epigenetics may also play a large role in patients developing ICM. In this study, scientists from the University of Alabama at Birmingham targeted their focus on determining the underlying mechanisms associated with ICM with hopes of creating potential treatments. The research team led by Dr. Adam Wende acquired heart tissue samples from male patients, aged 49-70 with end-stage heart failure that were having a surgical procedure to install a small mechanical pump in the heart to ensure proper blood flow. The samples were taken from the left ventricle of 5 patients with ICM and 6 patients with non-ischemic (dilated) cardiomyopathy. The team discovered an increased presence of DNA methylation in patients with ICM when compared to patients with dilated cardiomyopathies, suggesting that patients with ICM experience epigenetic reprogramming to change the metabolism of the heart. DNA methylation is the process of epigenetically adding methyl groups to the DNA sequence, often resulting in the silencing of gene expression. Particularly, they found that increased levels of DNA methylation directly influences the silencing of genes involved in oxidative metabolism, the normal metabolic condition of the heart which uses oxygen to create energy for heart cells. In this case, patients with ICM experienced a switch to anaerobic metabolism, in which the heart cells create energy by synthesizing carbohydrates instead of oxygen. This leads to the production of lactic acid, which builds up in the muscle and results in degrading muscle function. This type of metabolism is common in fetal hearts, however once the child is born, the heart switches to oxidative metabolism. The team found that genes responsible for anaerobic metabolism are hypomethylated, which causes the heart muscle to switch to anaerobic metabolism, restoring a fetal-like genomic state. This finding confirms the effect that DNA methylation directly has on epigenetically reprogramming heart function. The researchers found that KLF15, a transcription factor responsible for regulating metabolic gene expression is being suppressed by epigenetic regulator EZH2 in hearts with ICM, resulting in this metabolic switch. They suspect that this epigenetic programming is genome-wide, highlighting these genes as a crucial target for future research. EZH2 has been previously demonstrated as a metabolic switch in cancer, allowing the transformation of human cells into cancer cells. ICM affects nearly 6 million Americans, and although there has been some promise in preventative measures, it still remains the most common cause of heart failure. 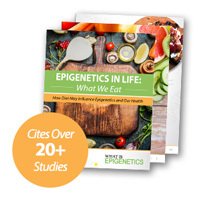 The genetic and epigenetic finding in this study provides valuable information for future research. Dr. Wende believes their discovery offers hope in developing potential treatments for ICM in order to prevent heart failure: “Altogether, we believe that epigenetic changes encode a so-called ‘metabolic plasticity’ in failing hearts, the reversal of which may repair the ischemic and failing heart”. Source: Adam R. Wende (2018) Genome-wide DNA methylation encodes cardiac transcriptional reprogramming in human ischemic heart failure Laboratory Investigation. Reference: Jeff Hansen. “Epigenetic reprogramming of human hearts found in congestive heart failure” UAB News. 9 August 2018. Web.